In connection with national Tourism Week, which took place April 15-22, the Department of Tourism and Hotel Management (THM) hosted a number of events. On April 20, a conference organized by the TükÇev Foundation and titled “Yeşil Anahtar” (Green Key) was held at the department. 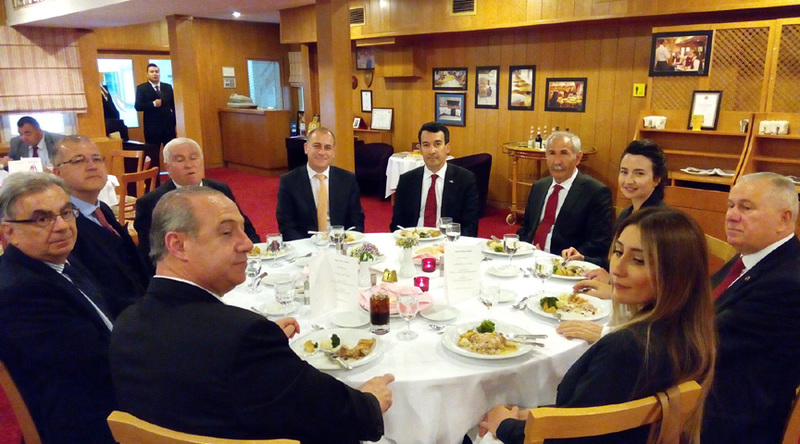 On April 21, a meeting of officials from both the public and private spheres with an interest or authority in the tourism sector took place at the THM restaurant, Le Piment Rouge. Among those in attendance were Ankara Deputy Governor Fatih Ahmet Kurt, Ankara Provincial Director of Culture and Tourism Doğan Acar, Ministry of Culture and Tourism General Director of Promotion İrfan Önal, and officials, executives and managers from TÜRSAB, ATİD, Skal Turkey, the Ankara Skal Foundation, ANTOD, Sheraton and ANRO. In the afternoon of the same day, Eda Gürel, an instructor in the department, gave a lecture on the topic of museums in the THM banquet room.